The election is three weeks from today. Why does my Democratic gut feel like it needs an Alka-Seltzer? This is the saddest year for Maryland Democrats since Spiro Agnew won the governor’s mansion. At least Bob Ehrlich was a seasoned Maryland politician with years of service in Congress and the General Assembly. Who is this year’s Republican candidate? He’s the son of someone by the same name who was a congressman when I was a teenager, in the last century. This year, we have two candidates who look sort of gubernatorial, no election for the U.S. Senate, and no contest in any of the state’s eight congressional districts. In Montgomery County, my home county and the largest jurisdiction in Maryland, there’s no visible sign of an impending election. I mean “no sign” literally. You see a few lonely lawns sprouting signs for Republicans. But Democratic signs, nada. And why should there be? Ike Leggett has a lock on the county executive’s office and nine Democratic council candidates are cruising to Election Day on automatic pilot. It’s no wonder the voters are disconnected. This is no way to run a democracy. Not a single political message in my mailbox since the primary. (Email is a different story. Messages every day from Democrats begging for contributions.) The only candidate to be seen or heard from in Montgomery is Robin Ficker. Seriously, Ficker is the only candidate I’ve seen since the June primary. I attended three Saturday-night outdoor concerts at Black Rock Theater in Germantown during the summer, and Ficker was working the crowd all three times. I seriously doubt, BTW, that Ficker can win, but stranger things have happened. If any Republican has a snowball’s chance in MoCo in 2014, it would have to be Ficker. I chalk up the political disinterest to two factors. First, there’s not a single exciting contest to stir the voters’ blood, not in MoCo, and not in Prince George’s County or Baltimore City, the state’s two other Democratic redoubts. If anyone knows of a General Assembly cliffhanger in Central Maryland, please let me know. The second reason is related to the first. The Democratic Party in MoCo, P.G., and The City is the victim of its own success. Democrats so dominate politics in the big three that all suspense, energy and conflict has been drained from the system. Could you write a good novel or screenplay without CONFLICT? Without conflict, there is no story. If there is any conflict left in the Big Three, it would be in the primaries, not the General Election. Alas, the entrenchment and almost certain re-election of Democratic incumbents in the local and legislative races has drained excitement even from the primaries. The turnout in June’s Maryland primary is Exhibit A. With the days ticking down to the start of Early Voting, and the electorate snoozing, a Republican has been creeping slowly up behind the Democrat in the only statewide race that matters, the governor’s race. The candidates are Lt. Gov. Anthony Brown, the Democrat who should be the runaway favorite; and Republican Larry Hogan, who unlike Agnew, Ellen Sauerbrey and Bob Ehrlich, the other serious Republicans to run for governor in modern history, has never held elective office. That’s right. Agnew was county executive of Baltimore County, at that time one of the three most populous jurisdictions. Sauerbrey was minority leader in the House of Delegates, and Ehrlich was a congressman. What are Larry Hogan’s credentials? I can think of two: Hogan looks old enough to be governor, and he promises to cut taxes. Now, even Brown, the Democrat, is promising no new taxes. Taxes is the only issue on the voter’s minds this election season. I’ve been making some phone calls to voters — a lot of phone calls, actually. When I ask about issues, the answer is taxes. It’s the next thing to unanimous. I’m calling on behalf of a Democratic candidate on the Eastern Shore, where Red Republicans are thick as mosquitoes, but Democrats and unaffiliated voters in the Blue counties have nearly as much antipathy to taxes this year. Just ask Brown. So there you have it. Democrats in Central Maryland are in a self-induced coma. Republicans in the provinces are hopping mad, as always. I don’t think it will happen, but we could wake up with a Republican governor on Nov. 5. For an excellent and concise report on the recent history of gubernatorial politics in Maryland, see “Looks Like We Have A Governor’s Race” over at David Lublin’s blog. Last weekend, The Washington Post reported poll results showing Lt. Gov. Anthony Brown, the Democratic candidate, with a relatively slim lead over Republican Larry Hogan. Slim, but hardly surprising. The Brown candidacy has seemed eerily reminiscent of KKT from the beginning. The one encouraging difference is that Brown chose a much stronger candidate as his running mate than did KKT. The political view from Montgomery County and Prince George’s County exaggerates Democratic invincibility in the state as a whole. Baltimore County remains the critical swing county. Martin O’Malley, Peter O’Malley and County Executive Jim Smith worked to strengthen the Democratic position in Baltimore County, producing a safe margin of victory for O’Malley in 2010. It will be interesting to see how many of those Democratic votes show up in Baltimore County returns in 2014. Tuesday was a very good primary election day for incumbents in Montgomery County. Unless I missed something in the General Assembly races, every Democratic incumbent running for re-election was a winner. There are no Republican incumbents in MoCo. Do incumbents have tenure? Are Montgomery County voters that delighted with the status quo? County Executive Ike Leggett was re-elected by a wide margin over Doug Duncan and Phil Andrews. All incumbent County Council members on the ballot were re-elected by safe margins. In the two open Montgomery County district seats, Sidney Katz led three other candidates in District 3, and Tom Hucker narrowly edged Evan Glass in District 5. The District 5 contest is close enough that it could be affected by absentee and provisional ballots. Marc Elrich led the field for the four at-large Council seats, with 53,394 votes, followed by incumbents Nancy Floreen, Hans Riemer and George Leventhal, in that order. Elrich’s coattails were not long enough to pull Beth Daly across the finish line. Daly failed to win a Council seat, finishing fifth and trailing Leventhal by about 6,000 votes. Vivian Malloy finished sixth. In District 1, Roger Berliner won re-election by a landslide over former Council Member Dutchy Trachtenberg. Craig Rice easily won re-election in District 2, and Nancy Navarro was unopposed in District 3. Barack Obama is president, Anthony Brown is running for governor of Maryland, and Ike Leggett has been County Executive in Montgomery County for two terms. However, political power and representation remain somewhat concentrated in America, to say the least. The wealthy and privileged still dominate American politics. It would be naive to think it will ever be much different. But we can try, here and there. I’ve been following the news coverage and the interest group endorsements for Montgomery County candidates in the June 24 Democratic primary. It appears to me that several well-qualified African-American candidates who would speak for working people and the children of working people, both black and white, are not getting the attention they deserve. It’s probably a matter of lack of campaign contributions. Money rules in American politics, plain and simple. More so now than ever. Some misguided endorsements by The Washington Post also play a role. Before you vote, you might want to consider a few candidates who have often been overlooked or too quickly dismissed in the run-up to the election. In my district, Gaithersburg and Rockville, District 17, please consider Laurie-Anne Sayles as one of three delegates to the Maryland General Assembly. She’s 32-years-old and has an MPA in health policy. The sky’s the limit for her in Maryland politics. But first she needs the support of a few voters. I think Ms. Sayles has a very real chance to win one of the three seats in District 17. She’s been endorsed by the Gazette and NOW, among others, but not by The Post. She’s young and untested in public office, but so is nearly every first-time candidate. For reasons unclear to me, the Democratic establishment and many interest groups have lined up behind a District 17 candidate who’s even younger than Ms. Sayles, and not as well-educated. The young man with all the support is both personable and very smart, by all accounts. But he’s barely old enough to rent a car, and he has virtually no real-life work experience. Just my opinion. He’ll be a more worthy candidate four years hence. You might be interested in the voter guide at http://voterguide.wamu.org/ You can compare Laurie-Anne Sayles side-by-side with Andrew Platt, and the contrast is eye-opening. To be clear, the two District 17 incumbents, Del. Jim Gilchrist and Del. Kumar Barve, deserve re-election. Ms. Sayles would be an excellent choice for the open third seat formerly held by Luiz Simmons. For the four at-large seats on the Montgomery County Council, please consider Olney resident Vivian Malloy as one of your choices. She has more than 20 years experience in the Army Nurse Corps, many years as a progressive activist in Montgomery County, and two terms on the Democratic Central Committee. That’s the kind of life experience and dedication to community that impresses me. Among all the at-large candidates, she is the strongest advocate for affordable housing and jobs. Ms. Malloy has gained a number of endorsements from significant interest groups, such as the AFL-CIO, CASA, and NARAL. She also has the support of Kweisi Mfume, former Maryland congressman and president of the NAACP. It’s a mystery to me why Ms. Malloy’s candidacy has gained little traction in Montgomery County. I suppose the obvious answer is that she’s running against four incumbents. However, the only other challenger, a woman with a good resume but no experience in public office, is getting lots of attention and endorsements. Go figure. For the Montgomery County Council in District 5, please consider voting for Christopher Barclay. Mr. Barclay, a respected School Board member and former president of the School Board, has been unfairly pilloried for the moral equivalent of jaywalking while chewing gum. It’s interesting that Mr. Barclay was poised to move up to higher office when a so-called “scandal” came out of left field and mildly tarnished his reputation. Mr. Barclay was a leading candidate for Montgomery County Council when information suddenly became public about minor credit card issues. 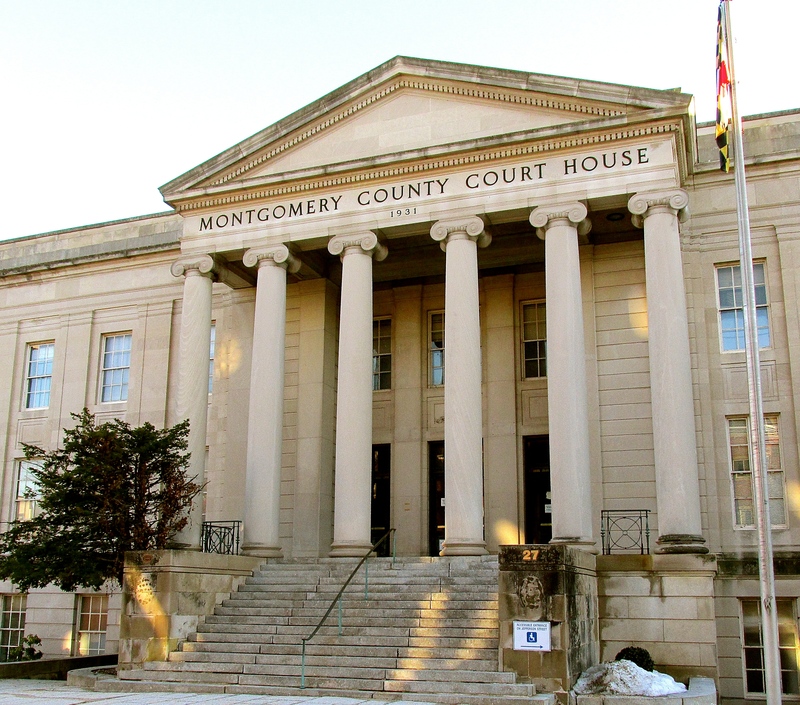 The issues were rapidly resolved, but not before the Montgomery County Education Association and the SEIU rescinded endorsements of the candidate. These are two of the most highly prized endorsements in the county. Christopher Barclay was a respected public servant and a leading candidate for County Council before, and nothing of substance has changed. I believe he remains a viable candidate, worthy of even-handed consideration in District 5. If I lived in District 5, I believe I would vote for Mr. Barclay. Just my opinion. For attorney general, Sen. Brian Frosh is clearly a candidate of distinction, and probably the most well-qualified candidate. However, Del. Aisha Braveboy is a qualified attorney and experienced member of the General Assembly. Ms. Braveboy would bring a new and different perspective to the important statewide office of Attorney General. She makes a strong case for diverting first-time offenders from the criminal justice system and helping them get on the path to employment. She was a strong supporter of the minimum wage increase. Ms. Braveboy deserves more consideration than she has received. My opinions about politics and candidates are no more valid than your own. Don’t consider the above opinions to be endorsements. Please make your own voting decisions. The time may come when race, color, and ethnicity are no longer a big deal in America. Sadly, that day is somewhere down the road. I hope I haven’t ruffled too many feathers here. The League of Women Voters Guide is a good source of candidate information. Primary Election Day is Tuesday, June 24, 2014. Your comments are welcome. Comments will be moderated before publication. Read “Do We Like Ike?” (Leggett) by David Lublin over at TheSeventhState. Time is running out for voters to make TWO most important decisions by June 24, primary election day. For Governor: Anthony Brown, Heather Mizeur, or Doug Gansler. For Montgomery County Executive: incumbent Ike Leggett, Phil Andrews, or Doug Duncan.